New tower called Dubai Tower will stand tall 437 meters in Qatar. 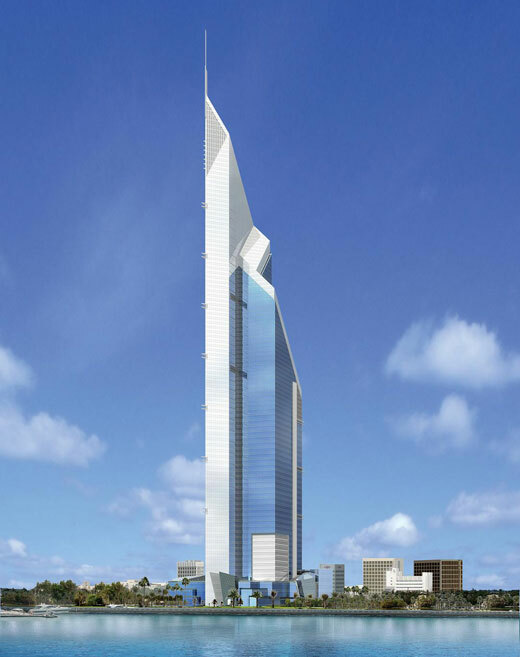 Designed by RMJM, the tower will spent $620 million of money for completion, it is expected to open in 2011 and will be the tallest tower in the country. As a mixed-use building, the tower consists of 13 floors of five star hotel (225 rooms), 29 floor of office space, 31 floors containing 226 luxury apartments and 3 super luxury penthouses, and 7000 m2 of retail area. 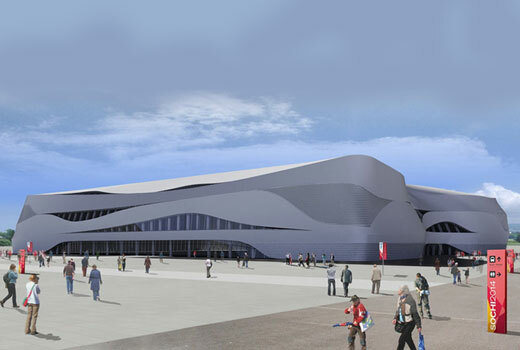 The design of Russia’s Sochi 2014 Winter Olympics has been reveled even though its rendering seems premature. As always, the architect designed the venue with flexibility in mind for efficiency. When it’s used for Olympic, it will have a capacity of about 12,000 spectators but after Olympic it will have 771 more seats, thank to the retractable stands that can be removed. 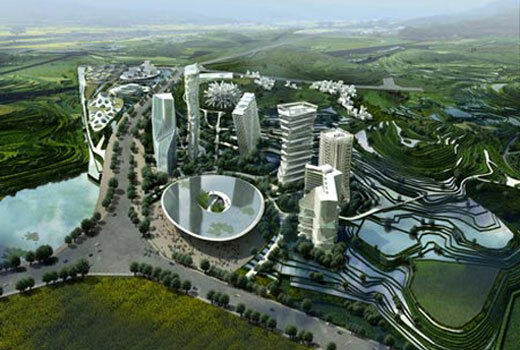 The masterplan of Huaxi City Center was designed by MAD. And to develop each part of the masterplan, MAD invited young international architect to collaborate with. It was happen last summer in three-day workshop with unique design approach and result. After 15 years of urban development in China, they want an alternative future for the next cities. One thing that they avoided is copying the skyline of Western cities such in Manhattan and Chicago. 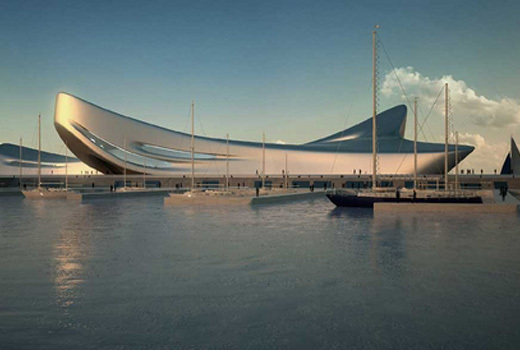 The Regium Waterfront project is a museum and performing arts centre located at Reggio Calabria, Italy. Designed by Zaha Hadid, the project will be a gathering place for public, and it will be a representing outlet for Mediterranean history. 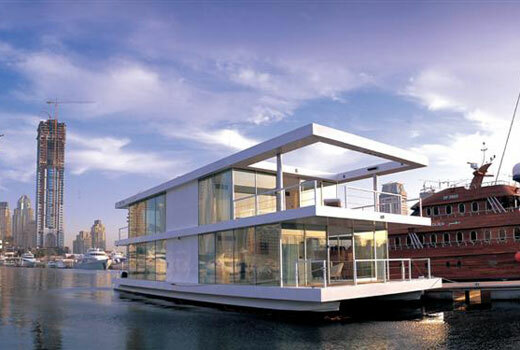 Designed by X-Architect, the floating houseboat sited at Dubai Marina, Dubai. This leisure home is built on top of two catamaran beams to make it stable, and the whole building covers 220 sqm of floor area mixing the use of a concealed kitchen, living room, an informal dining area, bedrooms, bathroom, steering cabin, and terrace. 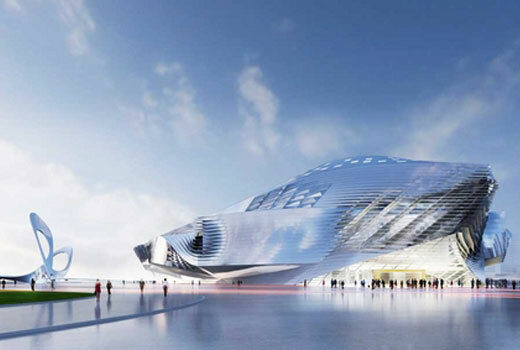 Located in China, the design of Dalian International Conference Centre was proposed by Coop Himmelb(l)au along with other competitor including Zaha Hadid Architect. The project will make a 100,000 sq m building mixing a conference centre, an opera house, and an exhibition centre.